It is a product designed for people who seek a different training experience at the gym and want to feel motivated with the exercise. For my undergrad thesis I designed an interactive product for people who seek a different training experience at the gym and want to feel motivated with the exercise. 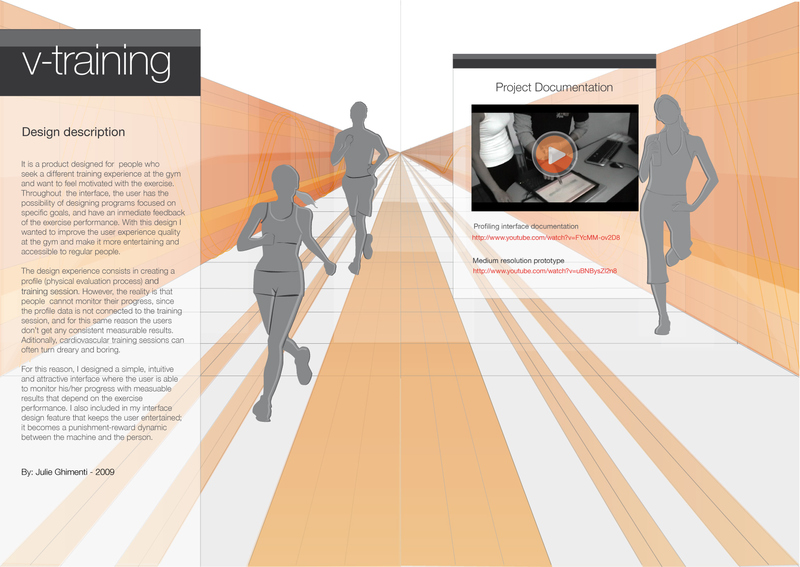 Throughout the interface, the user has the possibility of designing programs focused on specific goals, and have an inmediate feedback of the exercise performance. With this design I wanted to improve the user experience quality at the gym and make it more entertaining and accessible to regular people. The design experience consists in creating a profile, which consists on a physical evaluation process, and training session. However, the reality is that people can't monitor their progress, since the profile data is not connected to the training session. Therefore users stop feeling motivated because they don’t get any consistent measurable results. Aditionally, cardiovascular training sessions can often turn dreary and boring. 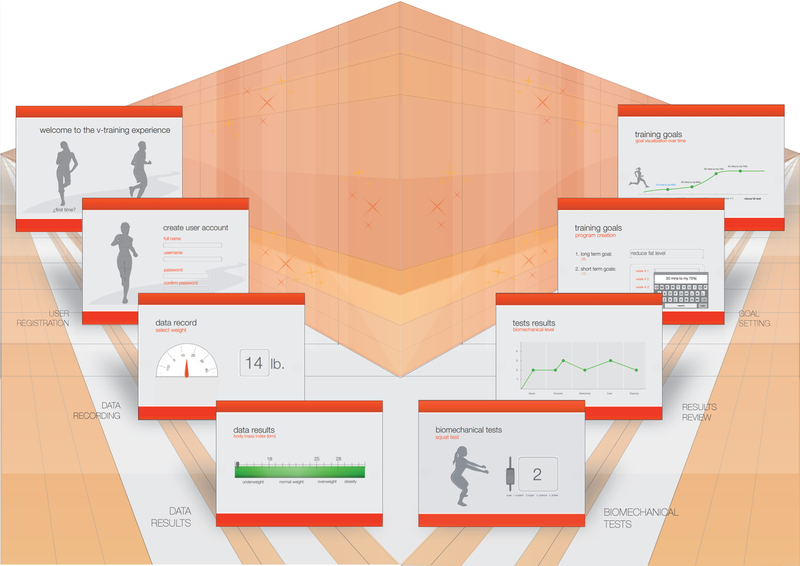 For this reason, I designed a simple, intuitive and attractive interface where the user is able to monitor his/her progress with measuable results that depend on the exercise performance. I also included in my interface design feature that keeps the user entertained; it becomes a punishment-reward dynamic between the machine and the person. The videos are in spanish, since I graduated from undergad at t school in Colombia. 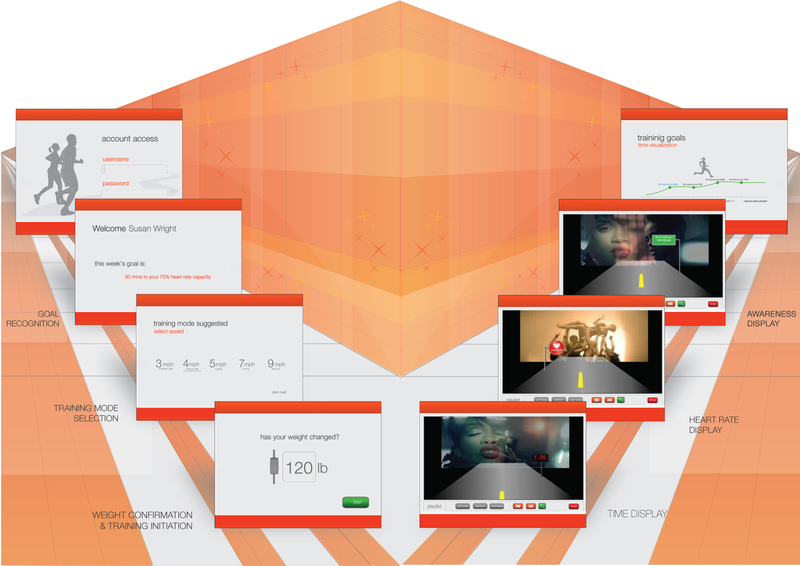 The first video shows how the interface would work in the real life with a real user. The second video shows how it would be the complete experience, using both instances of the interface: creating the user profile and the training session. This third video shows the first part of the interface closely, which is when the user creates his/her profile. This fourth video shows the second part of the interface closely, which is when the user is in his/her training session.